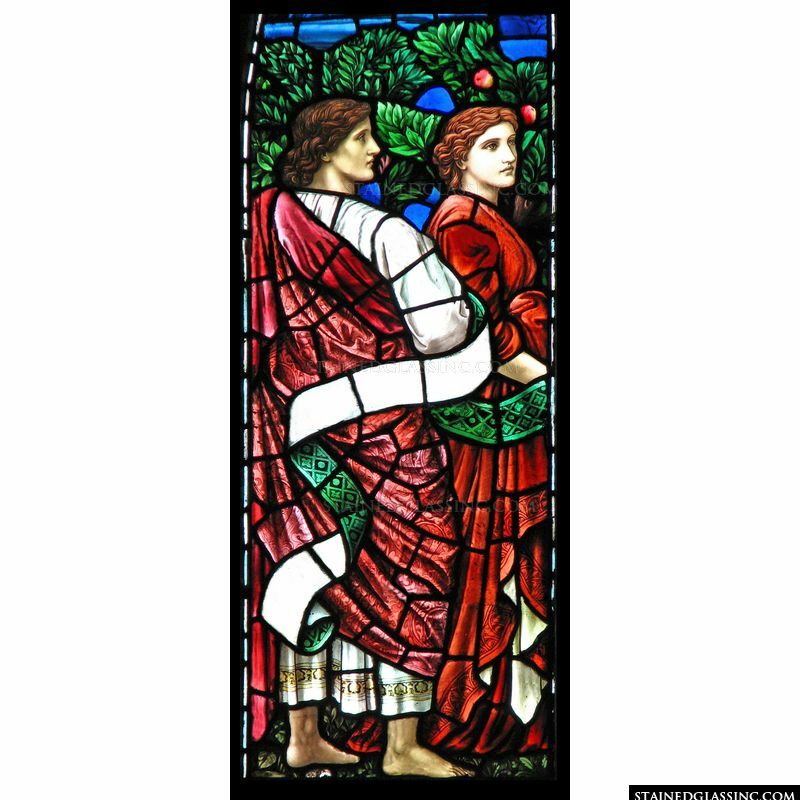 This stained glass panel provides an interpretation of what Adam and Eve might look like after they discovered they were naked and preferred to clothe themselves. 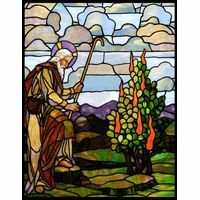 As the first humans, they set history in motion in terms of introducing original sin, which led to Christ coming to Earth to redeem mankind from their sin. 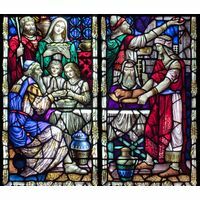 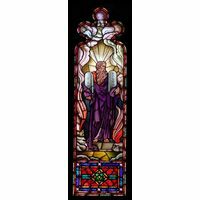 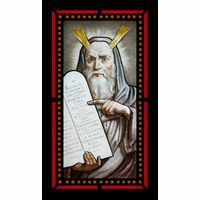 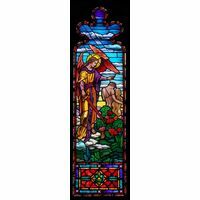 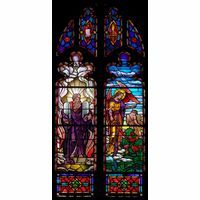 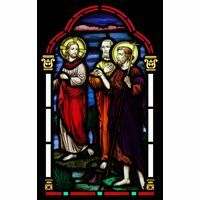 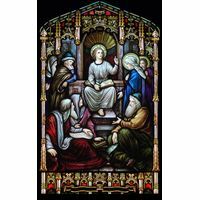 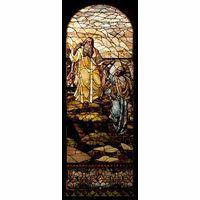 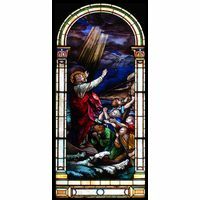 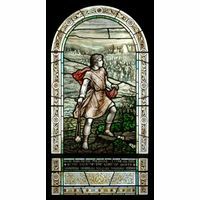 This is brightly colored and dramatic stained glass window or door panel that can be used in a church or home.